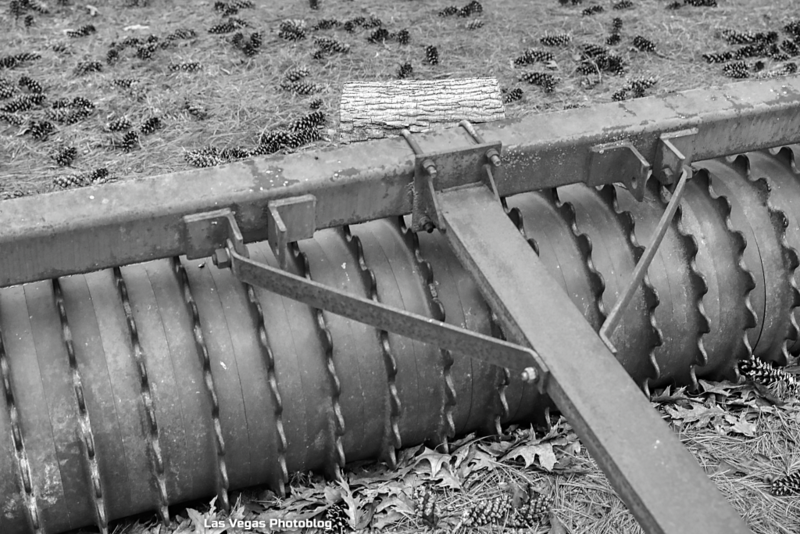 I like the contrast of the machinery and the grass with the pine cones. Thanks so much! 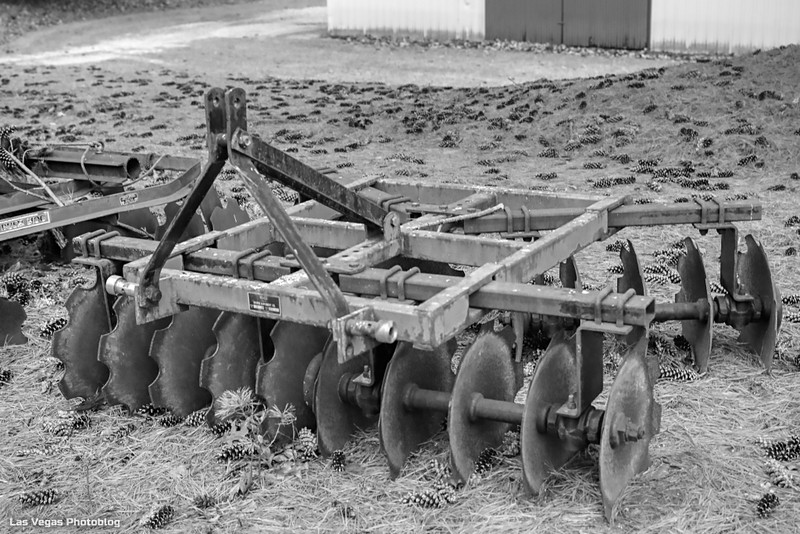 These implements are used just once a year these days to turn an Alfalfa field over which was planted for the deer. Time to replant.